Mobile Patrol Units – what does the RAM tracking that RISK use do? Visibility is paramount with any security package you go with, and having eyes and ears on your property at any given time is essential. But static security guards, manned guarding and complicated alarm systems can get really expensive, really quick. 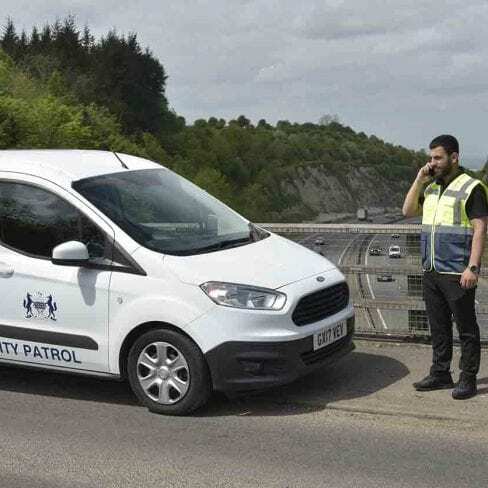 If you’re looking out for a great alternative to these solutions, look no further than a professional Mobile Patrol Unit from RISK Management Security. With our Mobile Patrol Units, you can be sure that our fully licenced guards have many purposes. They act as a visual deterrent against any potential misdemeanour. Their mobile nature also allows them to cover more square footage in a more cost-effective manner – great particularly if you have a large property. We are proud of our Mobile Patrol Units and our teams stop at nothing to protect your business or property, providing an unrivalled deterrent. All our security vehicles are tracked using RAM tracking from our 24-hour control centre using the latest state of the art software that monitors and supports each patrol unit. Vehicle tracking technology allows the user to view the position of their mobile workforce through the use of a cloud-based software platform. Once the device has been fitted within your vehicle the GPS (Global Positioning System) will identify the GPS coordinates, which are then sent via a mobile network to our advanced control room. RAM tracking provides us with real-time access to the activity of the tracker. By knowing every vehicle in the fleets location, speed and activity in real time, we can manage resources more effectively. If the unit requires backup, we can send it immediately without having to wait for anything to be phoned in. The tracking system employed on RISK Management Security’s Mobile Patrol Units mean that there are no more wrong turns, inefficient cruising speed, wasted time or unauthorised detours. 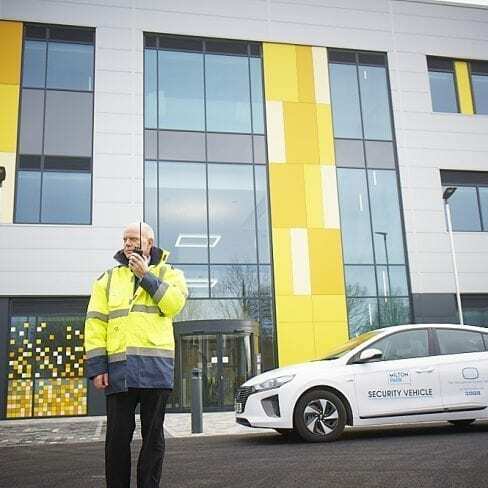 Communication from the control centre to the unit means that less money is wasted on fuel and unnecessary overtime bills. Money saved goes back on your bottom line. A more efficient operation means you can redistribute this money elsewhere in the organisation. The RAM tracking we use doesn’t just cut your costs, it gives us a competitive edge over other security firms who may be pitching for your business. Using our vehicles better means we are able to provide faster customer response. The fact that tracking allows us to provide you with detailed reports about our Mobile Patrol Units will improve our Service Level Agreement performance. The market-leading vehicle tracking devices that our tracking systems use have been invested in heavily for development and research, giving us the best vehicle trackers in the market. Using innovative technology to secure your location is a real reason to be cheerful and allows us both to blo our own trumpets! RAM tracking of this type is employed by companies in many sectors. Fleet managers use this system to keep track of their fleets, and haulage and distribution companies use them too. Using them to optimise the performance of our Mobile Patrol Units allows us to benefit from the same technology. Are you looking to invest in a Mobile Patrol Unit? Risk Management Security Services have a completely hands-on approach to the security service provided and takes pride in the fact that all directors and senior management have an active role in delivering high-quality security services. Our operations team adopts a pro-active approach to each assignment maintaining good relationships with customers, security guards and Mobile Patrol Unit stakeholders.